Since the company is excitedly touting about it, today is the rebirth of what we know of the Opera desktop browser. 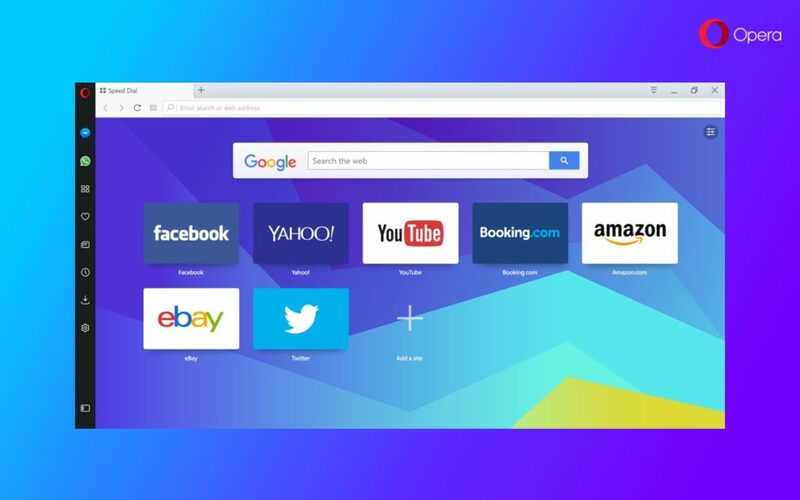 Earlier this year, it had released a browser concept called Opera Neon, to give users a glimpse of how they might look in the future. It has now borrowed characteristics from the said concept and started integrating it directly into its core desktop offering. The company had already started talking about their desktop browser’s rebirth and the feature set coming to the platform about a couple months ago. Called Opera Reborn, one of the novel features of this update will have to be multi-tasking. Yeah, I know this doesn’t sound like much but the browser now offers you to keep working while catching up with your friends simultaneously. 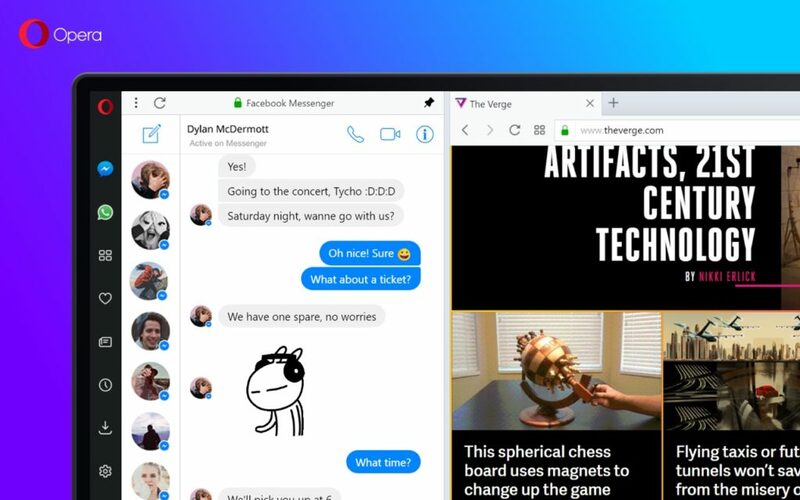 To access this feature, you do not need to jump tabs or open new windows as a new quick access sidebar with the some of the most popular messaging apps has been added to Opera’s desktop browser. This sidebar carries WhatsApp, Facebook Messenger, and Telegram integrations to help you create a balance between your work and social life. Opera has even provided you keyboard shortcuts to easily switch between any of three messaging apps. For quicker access, you can simply press ⌘ + ⇧ + m on macOS and CTRL + SHIFT + m on Windows and Linux. Thus, Opera is constantly trying to move past its credited tag of being an underdog of the browser ecosystem. Instead of making features available to you through an extensions store, the company is integrating much-needed functionalities natively into its own browser offering. In addition to the messaging sidebar, Opera Reborn also brings along redesigned UI elements, animated icons, and colorful plus dark wallpapers. You now not only have the option to choose a dark theme but also a low-power battery-saving, data-saving mode that comes coupled with free unlimited VPN services — if you need to bypass your ISP and hide your current IP address. It also comes with an ad-blocking tool integrated into the browser itself. So, Opera (which is built upon the skeletons of Chromium) is offering us a complete package but we’re still running after Chrome.